As discussed in early posts, regarding pile classification, we know that piles may be steel, precast concrete, wood, cast-in-situ concrete and of another types. We will discuss here a relatively new materials fiber reinforced polymer composite (FRPC) piles to rehabilitate pile foundation and new one. 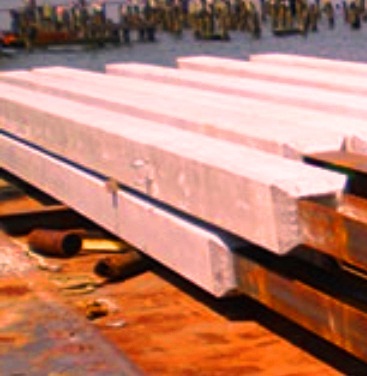 Of these cast-in-situ pile is bored piles but rest types are fall in the categories of driven pile. We are concerned here with driven piles as we will discuss about FRPC piles. Being relatively new materials in driven piles, it is required to investigate extensively about the properties and response of these piles under driven impacts and as well earthquake impact. In 1998 a riverside project was needed to be rehabilitated. This is Hudson River Park in Manhattan. More precisely on this time the rehabilitation began. In this project, it was needed to be replaced enormous amount of piles (100,000) that supports lightweight structures. Considering this large scale rehabilitation and other rehabilitation projects to come in the next, the researchers were looking for an alternative pile material. 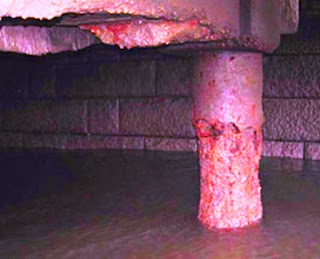 The rehabilitation becomes mandatory as steel corrosion, concrete deterioration and timber piles were found vulnerable in marine environment. This situation forced engineers to select an alternative material that have high resistance to degradation. Then FRPC piles were selected due to its strength and degradation resistance. At the same time Federal Highway Administration known as FHWA initiated some research project on the long-term performance of these pile. They have conducted research for finding feasibility of FRPC piles for mainly highway and facilities related to highway to replace conventional materials vulnerable to deterioration in hostile waterfront or marine environments. They established that FRPC may be a competitive alternatives against deterioration suspected pile materials in aggressive exposure environments. Due to environmental reason chemical treatment with toxic agent was also kept limited and State Department of Transportation are conducting major rehabilitation problems to restore vulnerable structures, led to choose FRPC bearing piles to use in infrastructure. I thought fibre reinforcement is not favoured because of alkali/silica reaction. When glass fibre is mixed with cement it achieves high strength but later loses strength fast because of reaction. I suppose it depends what type of fibre is used. I would like to know more about what type of fibre is used. Thank you. Albert Cauchi, Malta. Standard E-glass fiber has been known to have long-term alkali related strength decreases. AR-glass is alkali resistant (hence the name, AR) but has higher cost. The industry has tended to E-glass with an alkali resistant sizing (coating) on the filaments to essentially eliminate alkali reactions. In addition, international design guidance, whether ACI, CSA, or fib all include partial factors to account for such reactions. Another alternative with similar or better strength characteristics and similar cost to glass and natural alkali resistance is basalt fiber. I expect the engineering community will move to basalt fiber as a better alternative to glass fiber for projects in marine environments. Thanks for the interesting info,sorry I did not notice your comment earlier.